Why Use Your Yoga Strap? Straps are the most overlooked prop in yoga – but I’m a great fan. It can be intimidating to see some of the complicated ways yoga straps can be used. Yet are some very straightforward uses for a strap that can be extremely beneficial – and you don’t even have to buy one, just use the belt from your robe or something similar. Consider these three reasons to use yoga straps. Are you full present during forward folds? When a pose isn’t difficult our mind tends to wander – it’s only human nature. lengthening your spine rather than reaching. We tend to have the habit of bending our back to get closer to our body – we’ve all done it – but that’s not as good for our spine. Notice any difference in feeling when you use a strap. to be present and really notice my forward fold. See how open and steady I am using my strap. The strap is also building more flexibility. I’m quite inflexible, and I like to use a strap to help get the benefit of a pose that is ‘outside of my grasp’. This is true of some more complicated poses like Dancer Pose or Hand to Big Toe Pose, but makes a huge difference in some more straightforward poses like supine leg stretches. You can get my guide to using a strap for supine leg stretches. and this in turn means you benefit more from the pose while increasing your flexibility. Some days it makes sense to dial it back and take it easy. 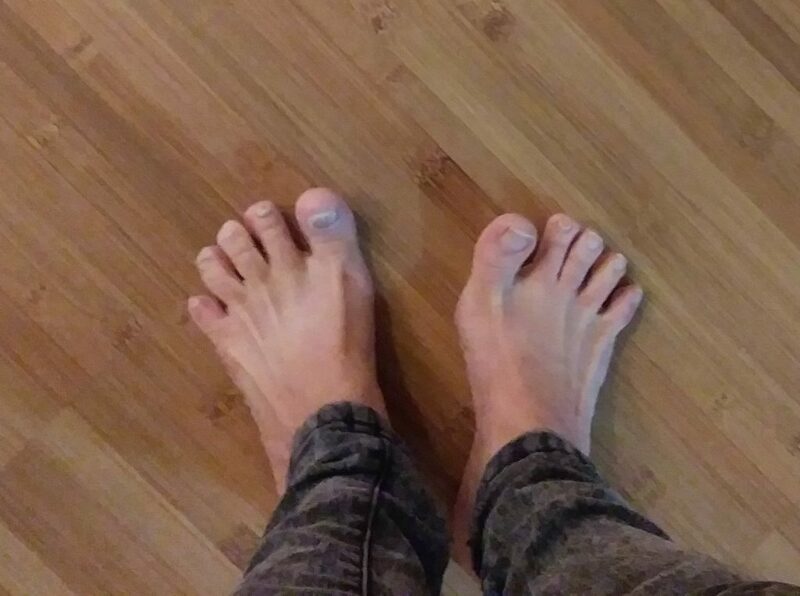 Perhaps you’ve mastered Hand to Big Toe Pose but it doesn’t feel like a day to extend yourself to your fullest. Listen to your body, some days ease into the pose and feel what it’s like with a strap. Another day your body will tell you that it’s ready for a good stretch. – that way lies injury. let me know how and why you like you yours. If you don’t use a strap -experiment with it and let me know how it goes. What should a good Chaturanga look like? Are you ready for your next Sun Salutation or transitioning in your sequence via a ‘vinyasa’? Many yoga classes have a lot of these! There’s a lot be said for the rhythm of these parts of yoga and the heat that creates but I have my concerns with the volume of Chaturagas in classes. Lets focus on how to do Chaturanga and keep your shoulders safe. many yoga practitioners enjoy Chaturanga, but it’s a complex pose that also requires strength. A lot of the Chaturangas I see are inviting injury. I suspect the increase in yoga shoulder injuries is at least in part due to this. Instructors use sun salutations and ‘vinysasas’ frequently – so a yoga practice will have many, many Chaturangas. Too many, to my mind. If I’m in a class like this, I’ll avoid chaturanga after the first few. Many classes are quite fast paced – people like to move in their yoga! Yet the most vulnerable time for injury is in transitions. The quick cuing leads to faster Chaturangas making their shoulders more vulnerable. So what’s the solution? Taking back your own control over your chatuanga! First, lets try to banish our ego – somehow we take any form exercise as competitive when it definitely shouldn’t be in yoga. Part of yoga is listening to our body and understanding it. I’m actually very strong – but there are days I just don’t want to do Chaturanga. or just decided to skip Chaturanga altogether. Chaturanga requires strength – from most of your body. You need to be able to lower yourself in a plank position, which requires good core strength. There’s a tendency to what my yoga teacher friend calls ‘sway back’. There’s quite a lot of different motion going on during Chaturanga that makes it tricky. → The bit that is often overlooked is the ‘hinge forward’. As you move, your weight moves forward, so your body is not just going down, it’s also moving forward. This protects the shoulders..
→ You also want to have your bum in line with your body. This will activate your core and reduce the pressure on your shoulders. → Don’t let your arms go down more than 90 degrees. You don’t have to go as far a 90 degrees, but going farther is a stress on your shoulders. This is why Chaturanga is often paired with Upward Facing Dog. Begin with your bum down and in line with your body, to activate your core. Slowly come down, keeping your body in line and spine straight, with forward movement. Finish before your arms go past 90 degrees. 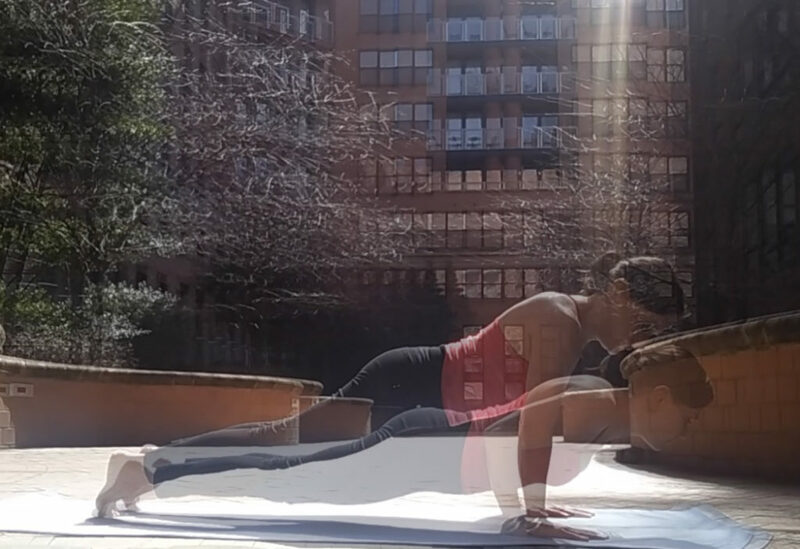 Here, superimposed, is the difference between when I start my Chaturanga and where I end it. Note that my heels and head end up father forward! Quite often I don’t! You can stay in your plank and go back to Downward Facing Dog. You can find your way down to the mat to participate in cobra. There are many options to do instead of Chaturanga – check them out, ask your Instructor! Get Form – how to do Chaturanga and keep your shoulders safe! If you do want to have Chaturanga in your practice it’s important to pay attention to your strength and your form so you don’t injure your shoulders. You also might want to go easy on the volume of Chaturangas during your practice! Taking a Beginner’s Class and asking the Instructor to go over Chaturanga is a great way to develop your Chaturanga. Want to build up your strength to Chaturanga? Outside of many great poses that build up strength, there are variations you can do when the Instructor says ‘if Chaturanga is in your practice’ – I go over two of them in my free guide. There’s no reason to have Chaturanga in your practice – and no reason not to. But if you do want it in your practice, it’s worthwhile making sure you’re doing it well so you make yourself vulnerable to injury and are getting maximum benefit. Don’t miss your free guide to some Chaturanga variations that also build up your strength and form! Why don’t we use blocks? It’s obviously unmanly or unwomanly to reach for a block because our thrusting society we shouldn’t need the ‘crutch’ of a yoga block. We should rapidly be moving through variations. 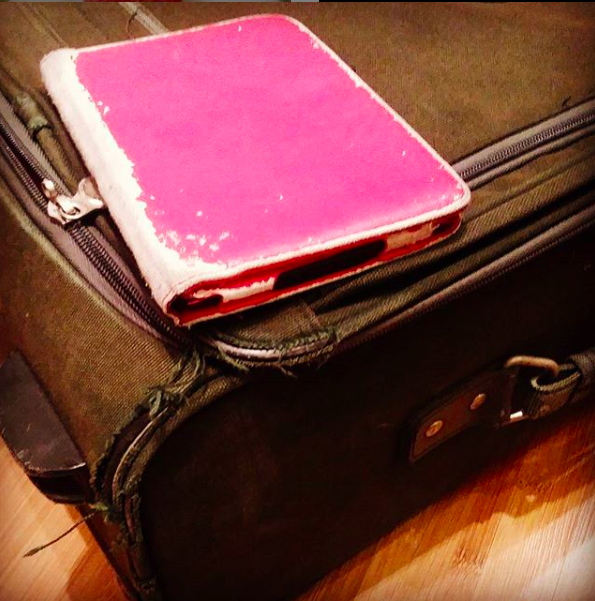 Believe me, I’ve had those moments – we all want to feel like we’re rocking our practice. In our minds, a block can make the pose seem less then. I’ve really come to understand that a block is part of what can help us all rock our yoga practice. Blocks are there because we all have different bodies and wherever we are in the pose, we should be able to explore and play with the pose not feel like we’re in a battle to finish. Lets explore 3 reasons to use yoga blocks! A block can change how a pose feels – like using a block in low lunge. It depends what we’re after in this pose. Blocks under the hands give more space, emphasizing an open chest and a backbend. How wonderful to shift the focus of a pose! 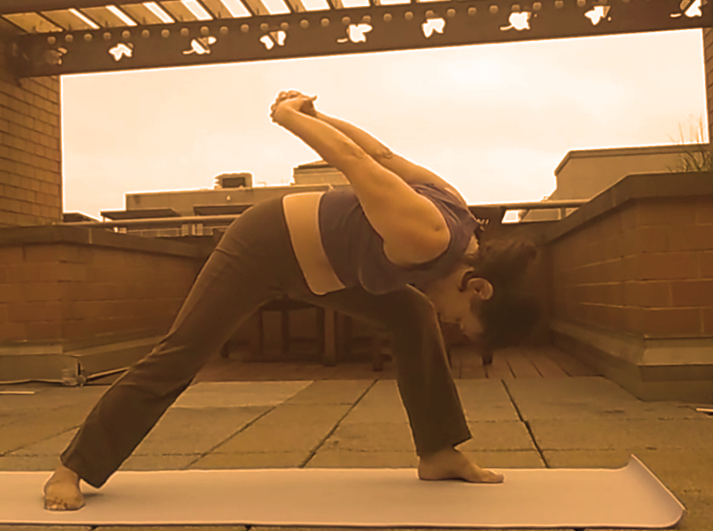 Hip flexibility come into play with Lizard Pose. With the help of a block, we can enjoy engaging our body more – especially hips. Listen to your body for guidance – some days you’ll want to push, sometimes back up a little. A block can help you when you want to engage with the next variation. I’m not one of those super-flexible yoga practitioners. 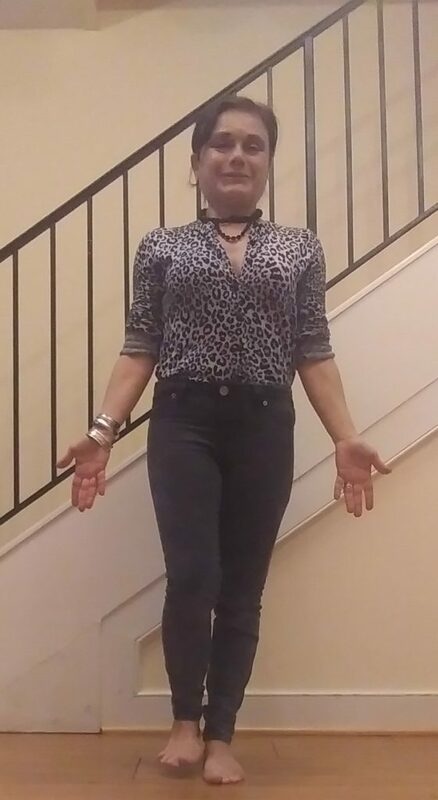 I reach for a block to feel good in a pose. A block helps us all be open or stable. 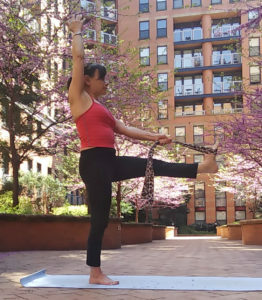 But there’s something about that aha moment: this is a good way to feel the pose, A block can help you understand different aspects of the pose. You know it does when get that recognition in your body. 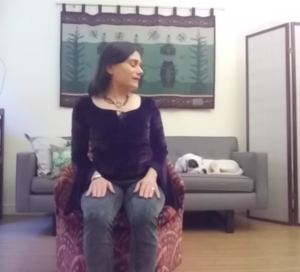 This is true of many poses – I’ve made a video to illustrate how a block in Half Moon Pose helps give more openness. Snag it now! There are definitely more than 3 reasons to use yoga blocks – let me know how you use yours. 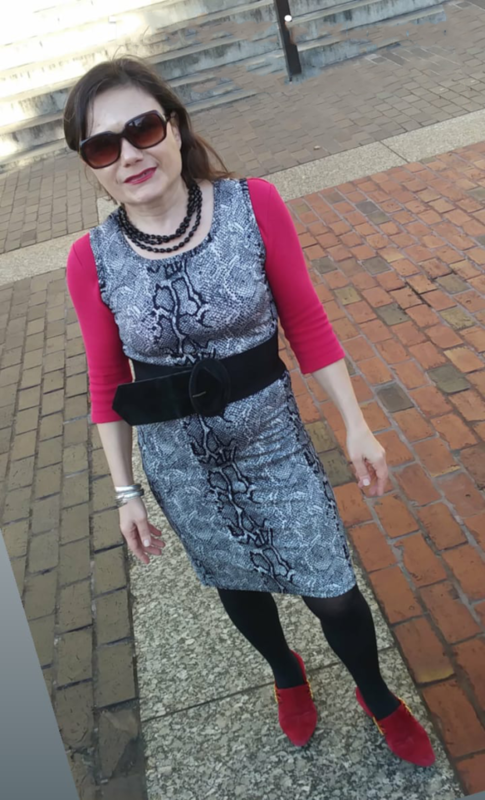 Recently we had a day with tantalizing and heady weather – spring will be here soon! Now that it’s a bit gray and raw again – with some snow in the forecast – I feel ready for my favorite DC season! Are you longing to get out into spring too? Spring in DC is glorious. 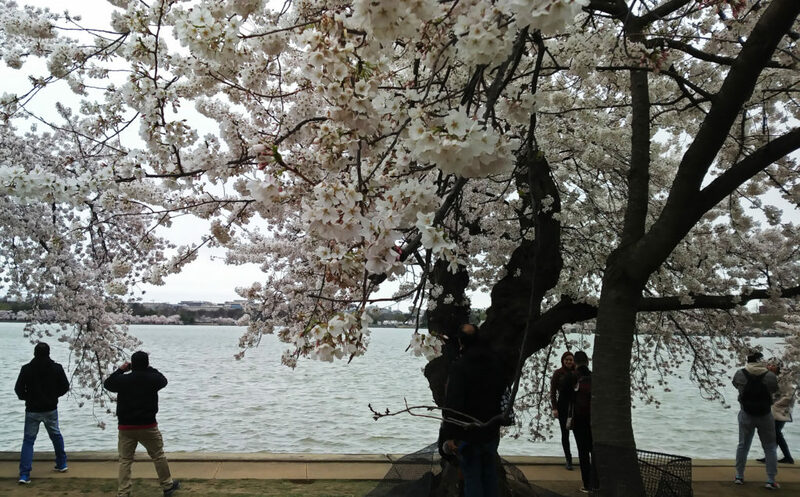 There are blossoms lining the streets and peeking out of gardens – as well as the famous cherry trees surrounding the Tidal Basin. I also love the fleshy magnolia blooms that seems to beckon in spring. Most of all I’ve missed good walks – it’s been a really windy winter, making it unpleasant to be outside. I remember going for walks all my life – Brits are huge on walks. In the winters of my childhood, it was wonderful to be out in the cold fresh air – and to come back inside to tea and crumpets! Do remember a childhood full of walks? And where do you walk now? I like city walking as well as enjoying country rambles. 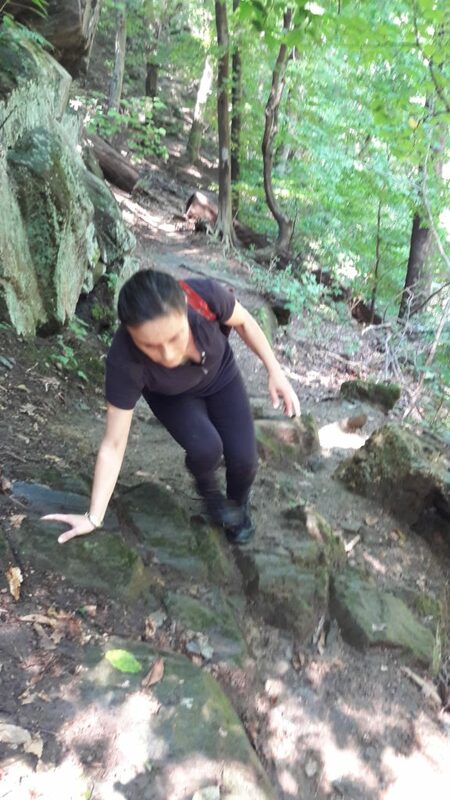 I generally don’t go for anything to steep or difficult as it can give me a touch vertigo. Walks are like yoga – in fact, a walk can definitely be yoga. You get moving and connected to your body. It’s also an opportunity to unplug and slip into being in the moment. There’s nothing like taking in the scent of earth and feeling the leaves underfoot in autumn. Spring’s riot of color lifts our sprits from winter’s gray and if we close our eyes we can tune into spring’s specific scent – the wonderful, sharp aroma of new grass with sweeter flowers adding a top note. Doesn’t that just fill you with possibilities for renewal! It’s a walking mediation – with benefits! When we go for a walk, just like on the yoga mat, we should tune into what our mind and our body need that day. It will vary. Generally I don’t like to get ‘too close to the edge’ with my walks. But sometimes it’s good to get out of your comfort zone. On a walk a while back, I took the strenuous trail. I could feel the pull of Rock Creek in the background with a little tickle of vertigo. It was a challenge but not enough to make me freeze. I’m glad l did it. Other days a gentle stroll, taking in what nature has to offer is what I crave – and before long I’m enjoying a walking meditation and all its benefits. How do you know when and how to push yourself? How do you enjoy your walks? 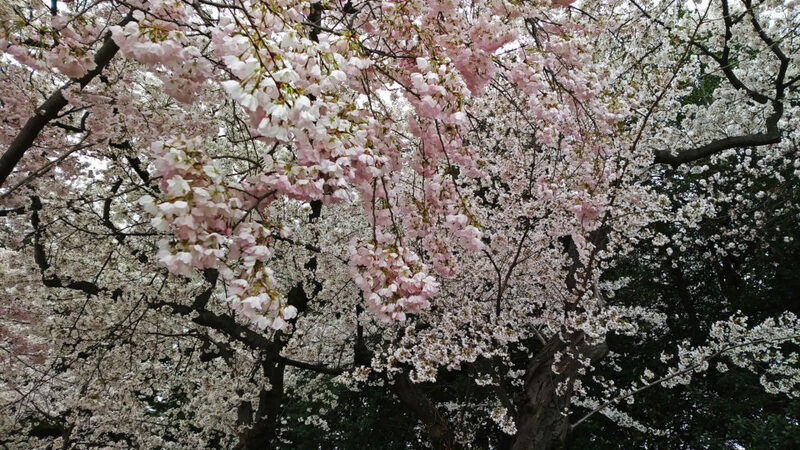 Enjoy your free spring renewal meditation – and set the tone! Have you been surprised by how you remember an event differs from someone else’s take? Sometimes when reading old letters to see that my memory and what I’ve written in the letter don’t match! My memory at the time and my memory years later can differ – how extraordinary. Our perspective changes with our stage of life too. I touched on this just last week, discussing that what we look for in friendship evolves over time. We certainly see things through a different lens as a child than as an adult. When I was a child, I was logical. I was actually fairly logical by any standard, but sometimes my logic was my own. The most hysterical example of my ‘logical’ brain is when I travelled with Paddington. 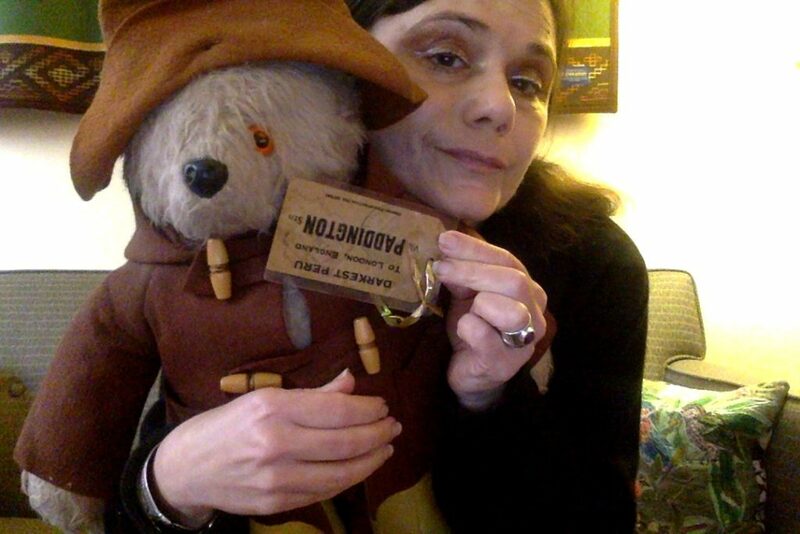 I got a lovely Paddington when I was eight and I am still devoted to him. It was the year we lived in Germany and we took many road trips. Paddington came along too of course and he took it all in his stride. I took it less in my stride. I was most concerned he enter each country legally so I decided his ‘please look after this bear’ label was his passport. It fell to my father to ‘get his passport stamped’, which caused much hilarity at boarders and airports. The guy at the Polish boarder even borrowed Paddington to show him to his colleagues. This was 1976 so things were very different. My father to Immigration Officer (in German): Could you stamp my daughter’s cuddly toy for her? Immigration Office: But sir, it’s an official stamp! My Father: I know, but as you can see from the other stamps, it means a lot to her. Immigration Official: Sir – I cannot put an official stamp on a stuffed bear. The immigration official stamped it with such force you can see the wobbly lines. I love looking back at my child’s perspective, but my reality is very different today. When someone’s interpretation of something is different from your own, you stand there wondering what is The Truth. Of course, the fact is that they can both be right. But do you want to keep your reality? What perceptions from our past might not serve us well? Perhaps you didn’t feel listened to as child. We all want to feel heard! My mother often cuts me off, assuming she knows what I’m going to say. No only is that rude, she often guesses wrong! The result is that I’m very sensitive – and sometimes over sensitive – about being interrupted and that people aren’t listening to me. On the good side, I am am a close listener and really focus on the person I’m talking to. We can get so caught up in our own truth that it limits us. We all have our point of view, we can gain by opening up to someone else’s lens. Often at work, childfree people feel that those with kids are taking advantage of them while parents think that their stresses are not being understood. When we deepen our yoga practice – physical or meditative – we get in touch with who we are and understand the perceptions we carry. It helps us decide if we want these perceptions as part of our way forward – or not. Do we want to take them into our interactions? When we understand our perceptions, we can choose to carry them forward to change our point of view. Yoga can give us the ability to do this. Have you found yoga has led you to change how you see something? Not sure how to understand your perceptions? Get your free journaling prompts! Recently I’ve been hugely enjoying reading some young adult fiction. I’ve noticed that a universal theme is control. After all, children have very little control over their lives. But do adults have more control? Should we give up the illusion of control? Can we navigate so that we plan yet remain flexible. How do we find comfort with uncertainty yet keep our agency? Just a few unimportant topics before breakfast, as the Red Queen might say. One book – Madeleine L’Engle’s And Both Were Young – really resonated with me. I related to this book because, like its main character, I was sent to boarding school. I was 12 and I hated it. I hated the school itself – and when I transferred I was much happier. Adapting to an English boarding school was tough. It wasn’t just being away from my parents, it was the different culture. In particular there was a lot of teasing and I didn’t know how to handle it, so it became less good natured and more pointed. I was baffled. My background didn’t have this sort of teasing. I have no siblings so there wan’t that rough and tumble at home. I think the culture of teasing is different in the UK from the US, so when I arrived I didn’t know what the teasing meant. I’d been at my previous school, along with most of my classmates, since kindergarten. Suddenly I was dropped into a situation where I was with a group of girls I didn’t know, whose language I couldn’t translate – although we all spoke English. It was a huge change. I didn’t understand the culture and had to find comfort with uncertainty, while trying to become familiar with what it all meant. How I could navigate this new culture? I do think I came to the school with an open mind and heart. I’ve always been gregarious and approach new experiences from a place of optimism. Yet it was hard trying to find any comfort with the uncertainty of my new life. I felt on unstable ground. We have so many things that are out of our control in our lives. As adults, we have a hard time recognizing that. How often do we go into situations with our arms crossed, determinedly knowing it’s going to be hideous. This often happens with something related to work or family. Perhaps there’s a family member we don’t like but feel we have to visit. We roll our eyes and sigh and try to put it off. When, in the end, we arrive at the front door we are sure it’s going to be awful. Our arms are crossed. We think I don’t want to be here – but I have no choice. Now don’t get whiplash! I know I’ve just been talking about not having control and how we have to find comfort with uncertainty – but we always have a choice. I’m radically against the phrase I don’t have a choice. Your choices might not be great, but we can always make a considered decision rather than float along carried by the tide and bemoaning the situation. Lets take that relative you don’t like. Joe is mean to you and his family. He says things that are snide and belittling. He runs roughshod over boundaries. In short, Joe is nasty and demanding. Unfortunately, he also complains bitterly that you don’t visit. After months of this sniping, you sigh and say – I don’t have a choice, I’ll just have to hold my nose for a few hours and visit Joe. Lets get it over with. This is not an unusual situation. So how do we re-frame it and why do we go anyway? In fact, you do have a choice – you can just not visit. You can let Joe be as nasty as he likes. You can be cheerful about it and ignore it as interference, not worrying about any flack coming your way. So lets dig deeper to see why you still choose to visit Joe. Obviously, you don’t want him to complain and moan about you. But is there more? You know Joe will go on a rant to his family about you, because that’s what he’s like. He’s the type to go on multiple tears. Joe will sound off to off about how selfish you are and how that’s not how family behaves etc. Joe’s family will have to bear the brunt of your decision not to visit. You might not have to deal with his meanness, but the unpleasantness will be passed onto them. His family will pay the price if you don’t visit. In fact, you realize your visit helps the rest of the family! This is why you do it -so you can give them some relief! You’ve made an altruistic choice. It’s something to feel good about. Perhaps it even enables you to sail through the visit with some grace. Rather than feeling like I don’t have a choice you understand why you are making this visit and you feel good about it. So often we are in a situation at the office or with family where we have to deal with circumstances and people we don’t like – and gaining comfort with uncertainty is hard! Sometimes it helps us navigate the situation and adapt. Other times we come to the conclusion that the situation has to change. That’s what happened at my boarding school. The girls at the school weren’t very nice. I was much happier after I moved to another boarding school. But the insights I gained and the lessons I learnt at the old boarding school really helped me in the environment of the new school. When we take back agency, it often helps us to approach something we don’t want to do with a better frame of mind. Here’s the funny thing – we might not have control in our life, but we do have choice. When we own that choice we feel more anchored and better able to navigate and endure. In fact, we set ourselves up for smoother sailing and perhaps even do some that personal growth people are always waffling on about. 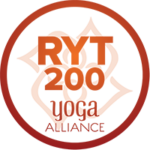 Posture and Yoga: an upstanding mix! Posture recently crossed my mind, for the first time in ages. I was walking along a DC street and caught sight of myself in a shop window. It was a revelation. 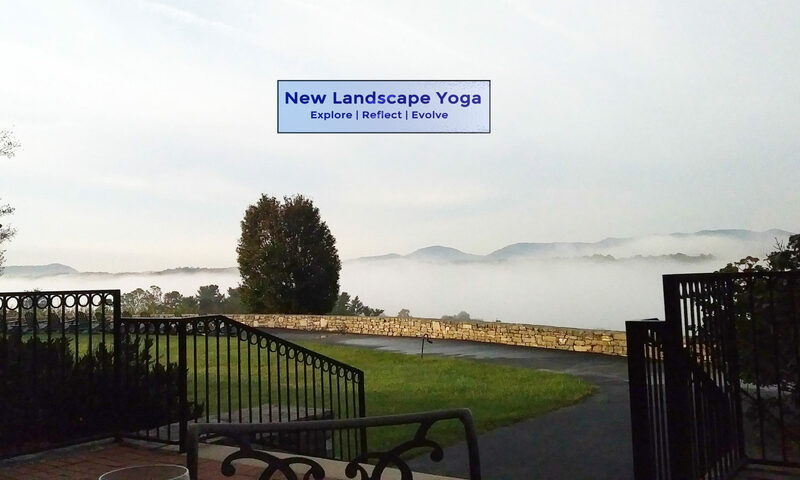 I stood tall, head over shoulders, with a neutral spine – and it was all thanks to my yoga. In the back of our mind we tend to have a tickling feeling that we are slumped over over too much of the day. It’s modern life! Our shoulders become rounded through driving or sitting at a desk. Our head pokes forward towards our phone or our computer in what has become know as text neck. It only gets worse, the older we get, possibly even leading to the hump in the back -hyperkyphosis. Bad posture does take a toll on the body – but don’t panic! Just small adjustments and a minimal amount of time can make long-run differences. The problem with poor posture is its long term effects – but your posture isn’t rigid. Becoming tuned into how your body is holding itself and giving it a boost with yoga will really enhance your long-run wellbeing – both physical and emotional. I didn’t really notice the change in how I stood – that yoga absolutely helps my posture – until I caught that glimpse in a shop window. I looked so lovely and erect – and my head was in line with my body. Then I noticed how good it felt and I tuned into the different way my body carried itself. It felt like it had more space. 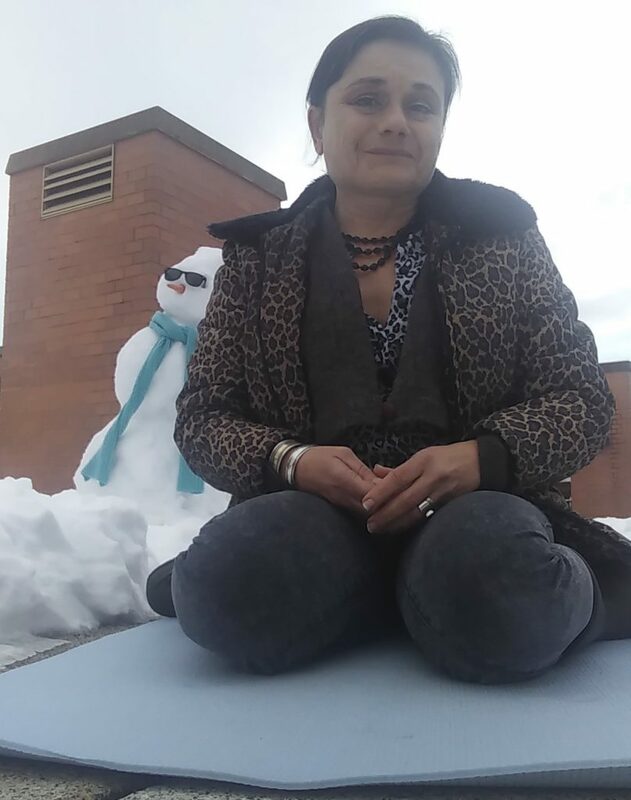 Yoga also gave me more of a sense of my spine – my shoulders – my head – are in space. This is called proprioception and something we don’t think about a lot. Now I’m overtly aware of how I hold myself, and not just when walking. Take five or ten minutes my lovelies – that’s all it takes. Do some yoga throughout the day – at your desk, in your recliner and even at a traffic light! Perhaps you want to set a mediation bell, as a reminder. Your body will feel better – and most likely your spirits too. Find out more about me and get in touch! Let me know about your frustrations and how how yoga might – or might not have helped. your hips should hit the back and your knees should hit the seat of the sofa or chair. The screen should be at eye level or placed so you’re slightly looking down. Have one pillow under your head – don’t pile them up. How Does Yoga Help Reverse Hyperkyphosis?